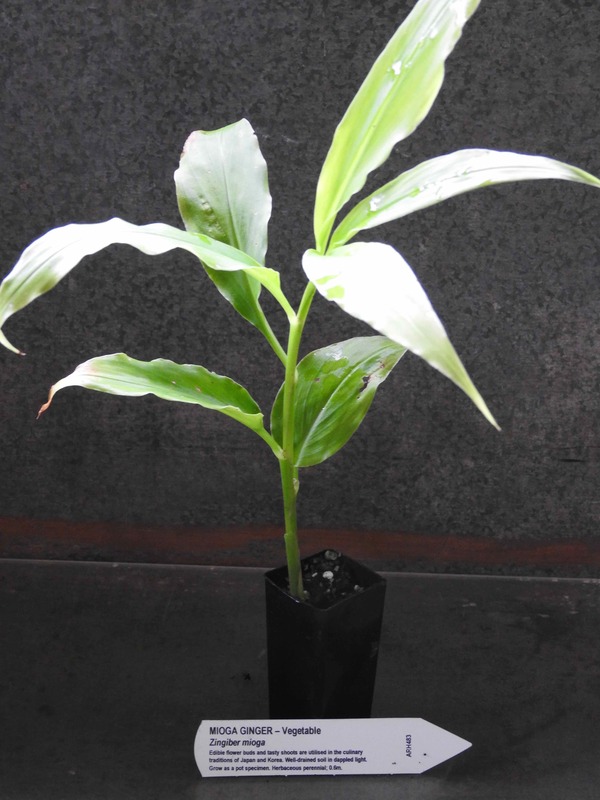 Myoga Ginger plant, Zingiber mioga, is also known as Japanese Ginger. The rhizome itself is not used in cooking, only the edible flower buds and tasty shoots are utilised in the culinary traditions of Japan and Korea. Myoga Ginger plant is native to Japan, China and Korea, preferring a rich moist and well drained soil in dappled light. May be grown as a pot specimen. An herbaceous perennial plant, growing to 0.6m. Suitable to grow in most areas of Australia. Be the first to review “Ginger, Myoga plant” Click here to cancel reply.